By KEN MACHARIA, NAIROBI, Kenya, Mar 18 – The National Environment Management Authority has issued a notice to developers in low-lying areas along Nairobi River, River Athi and Athi Plains including Kajiado and Isinya to put in place emergency measures to evacuate in the event the rivers break their banks. 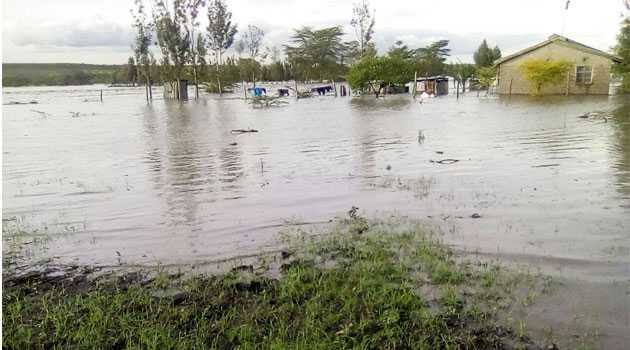 NEMA Director General Prof Geoffrey Wahungu says that due to the heavy rains pounding the Country, most rivers are now loaded with large volumes of silt and debris causing an overflow of rivers beyond the riparian reserve. Wahungu has also advised inhabitants in low-lying areas to periodically monitor river flow levels including during night-time and use the incidence hotline 0786 101100 in case of an emergency. “Also, all those with tall trees or canopies close to their residences are cautioned to keep safe distance and avoid parking vehicles under them,” adds Wahungu. At least 15 people have been killed by floods and property worth millions destroyed since heavy rains started two weeks ago.